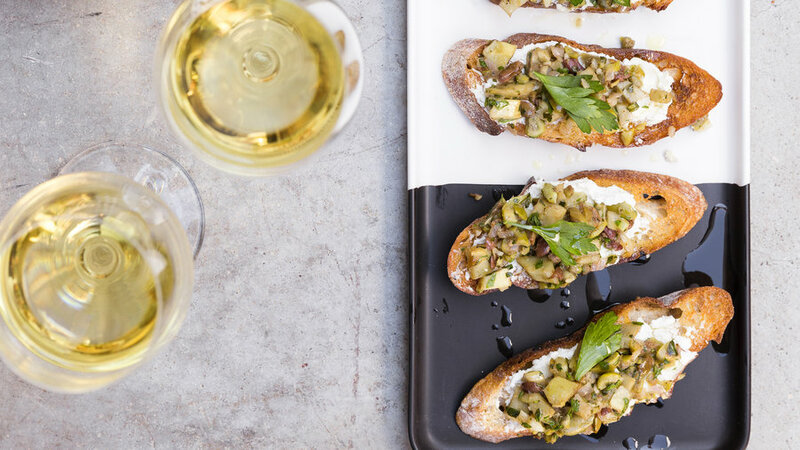 Click ahead for recipes and wine recommendations, plus tips on how to throw your own pairings party. As delicious as they are, artichokes have a compound that makes wine taste sweet. 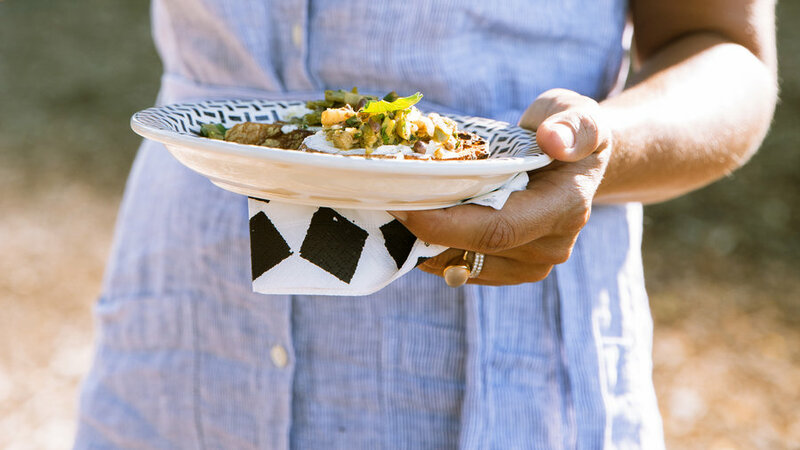 Tangy goat cheese brings both into balance. McReynolds leaves one end of the toasts free of toppings so fingers stay clean. 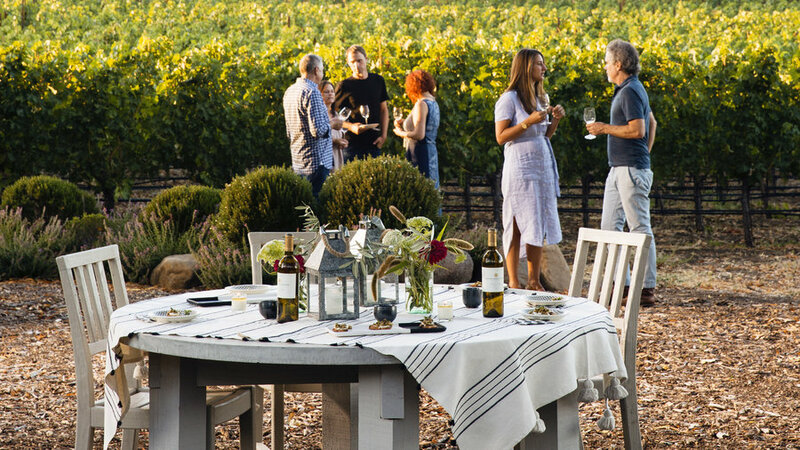 Pairing: Try with Stone Edge Farm Sauvignon Blanc 2013 (Sonoma Valley, $30), which has refreshing citrus acidity, herbal notes, and creamy oak, or with J. Rickards Winery 2014 Croft Vineyard Sauvignon Blanc ($19). 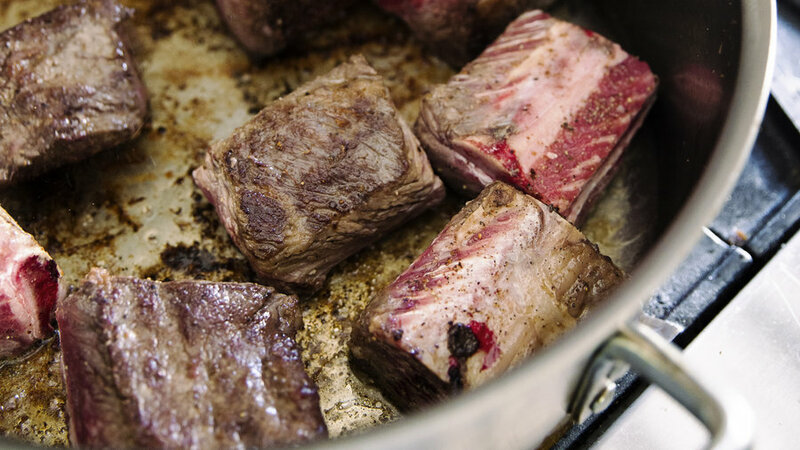 This classic braise, adapted from Stone Edge Farm Cookbook ($60; ), tastes even more flavorful made a day ahead, and chilling makes it easier to discard the fat. For the cooking wine, McReynolds believes that quality matters: “Certainly above $5 a bottle but maybe not $85,” he jokes. 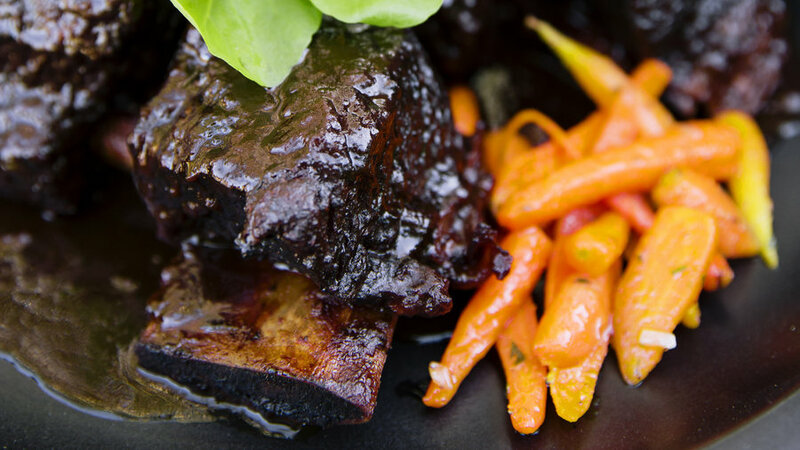 He serves the ribs with steamed potatoes, carrots glazed in herb butter, watercress, and a rémoulade salad. 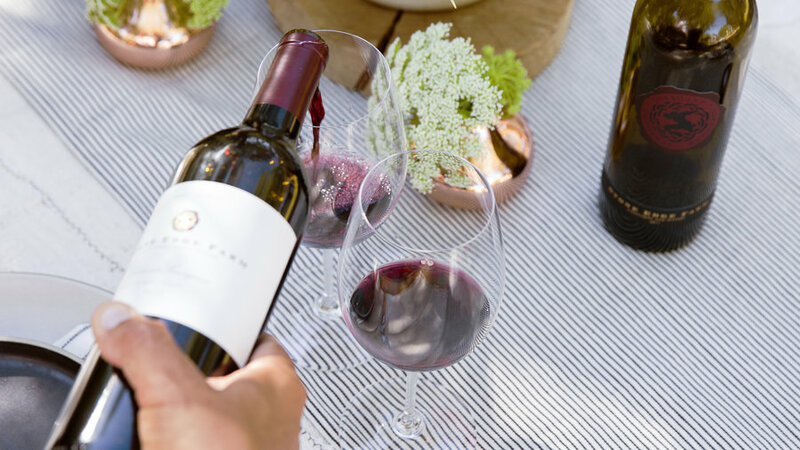 Pairing: Choose Stone Edge Farm Cabernet Sauvignon 2010 (Sonoma Valley, $85) for its cassis, black pepper, and intense but polished sweet tannins, or Punch Vineyards 2012 Cabernet Sauvignon ($35). 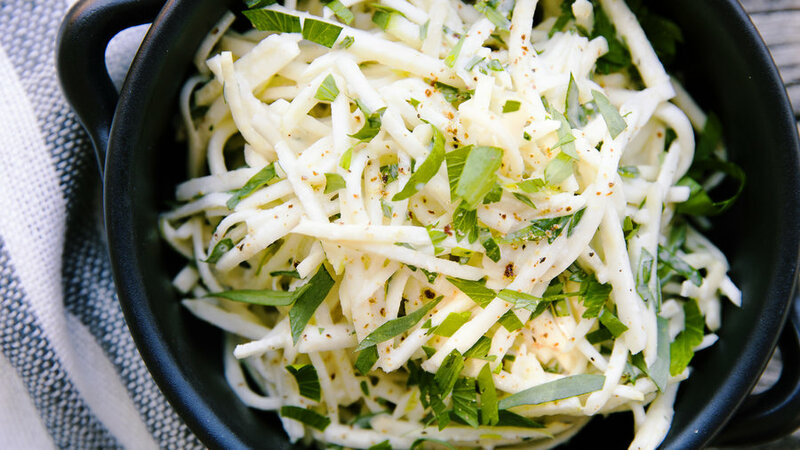 Bright with the flavors of crème fraîche and green apple, this crunchy salad tastes refreshing alongside the beef. A handheld slicer makes quick work of the prep. 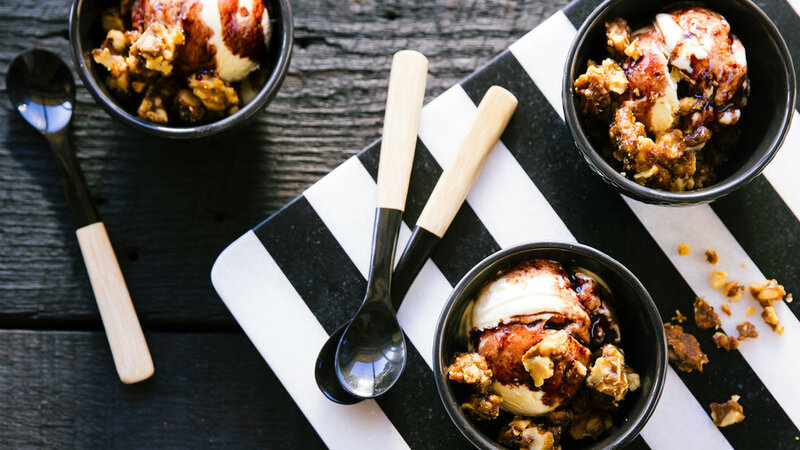 Though the ice cream is fantastic on its own, McReynolds turns it into a sophisticated dessert with the addition of caramelized walnuts and a drizzle of saba—ripe wine-grape juice cooked down to a fruity syrup. He makes his own saba each autumn, but you can buy saba at gourmet grocery stores (or substitute good-quality balsamic vinegar). 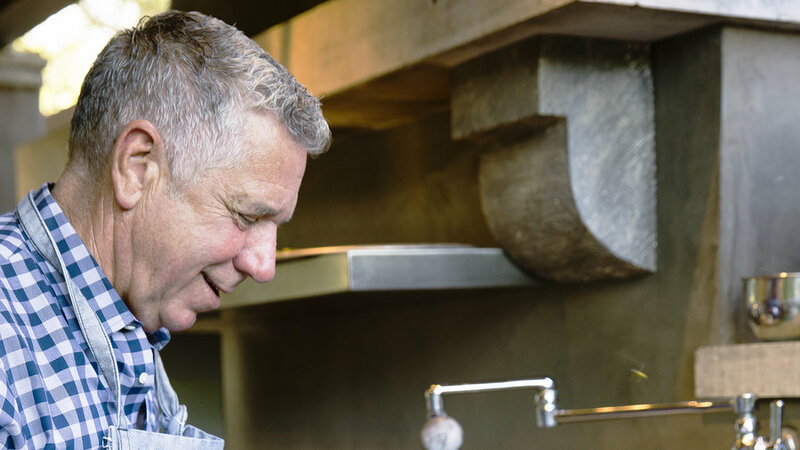 For McReynolds, pulling off a memorable meal comes down to a few principles. 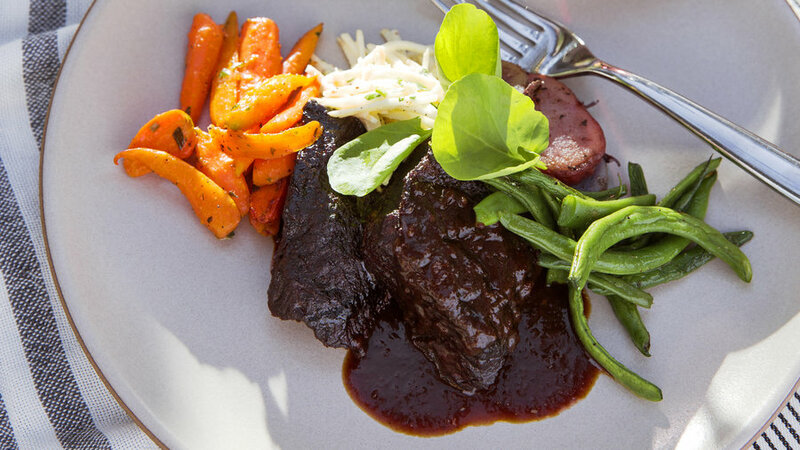 Plan your menu based on what’s in season, and then choose the wines. For pairings, McReynolds’ most important consideration is matching body: lighter-bodied wines with lighter foods, and vice versa. 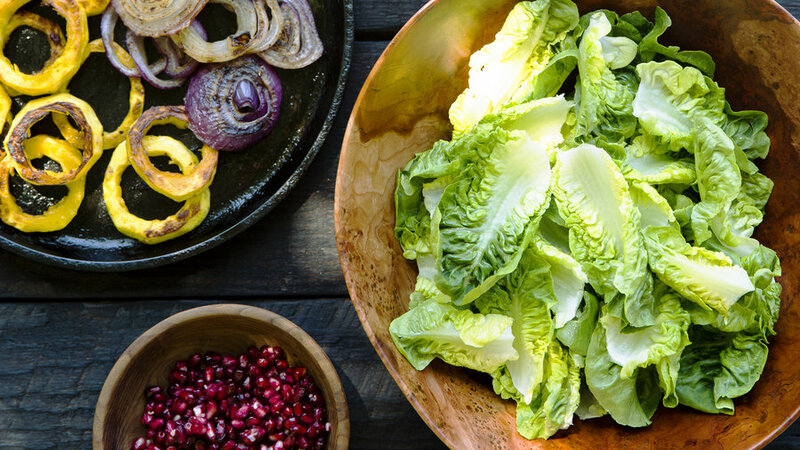 But adding rich, savory ingredients (roasted nuts, cheese, and griddled vegetables, say) can also make a salad red wine–friendly. Something crisp or raw cleanses the palate. 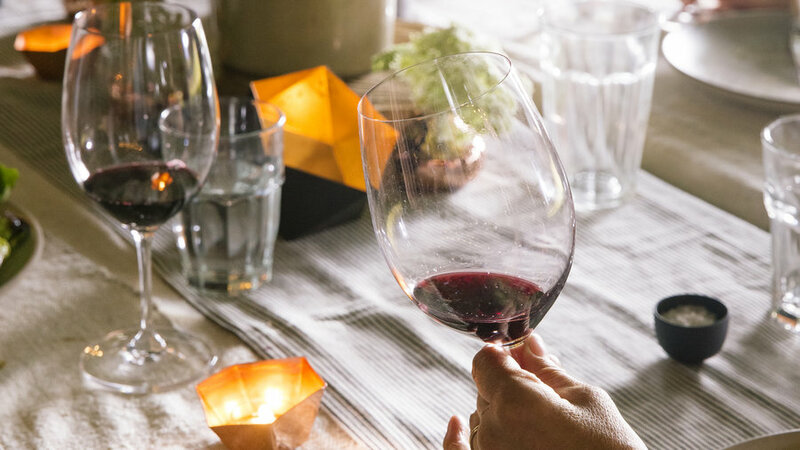 For a party, about a half-bottle of wine per person total is a good rule of thumb, “though my friends might want more,” McReynolds confesses. Aim for three different wines over the course of a meal, poured from lightest to darkest.